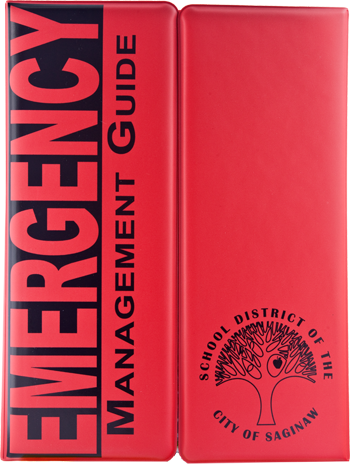 The Guide To Emergency Preparedness™ is a custom quick reference guide that helps keep your faculty prepared for emergency situations such as bomb threats, fire emergencies, and weather emergencies. 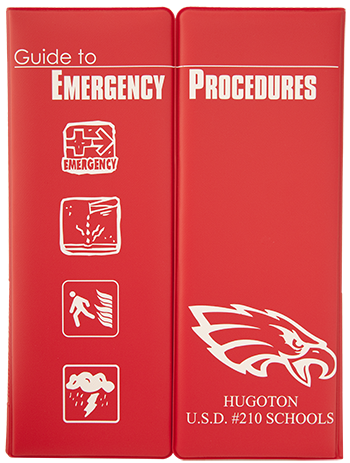 Because it is completely customized, the Emergency Guide allows you to convey information specific to your safety policies and emergency procedures. 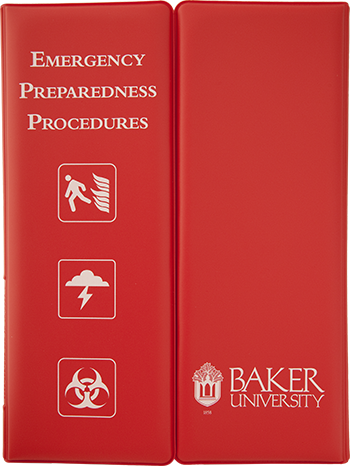 Because of the product's unique appearance, faculty will have no trouble locating the Guide in urgent situations. 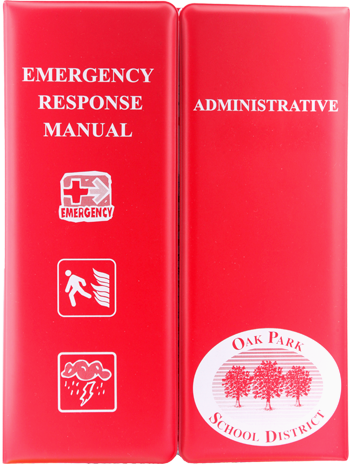 The Guide brings regulatory compliance, response to emergencies, safety, and staff education all together in one easy-to-manage information system. 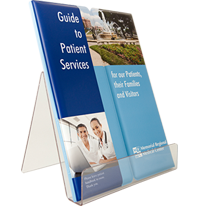 One or multi-color silk-screen printing is allowed on all exterior surfaces. Non-soluble, heat sealable, opaque ink. 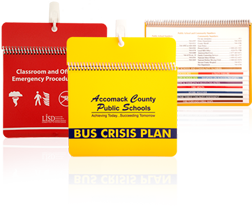 Adhesion suitable for application to vinyl. 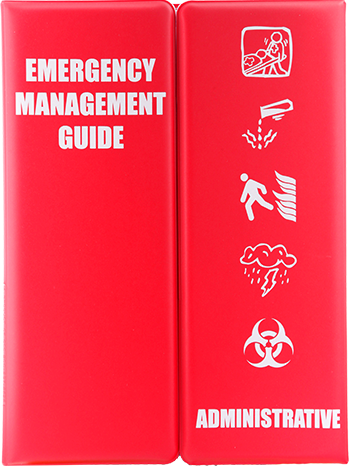 Ink shall not be affected by biodegradable cleaning solutions nor abraded in normal use. 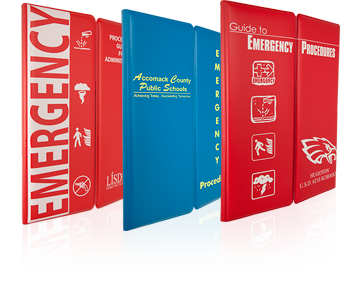 Administration Guide The Emergency Preparedness Guides ... has brought to life the Emergency Preparedness Program on campus. 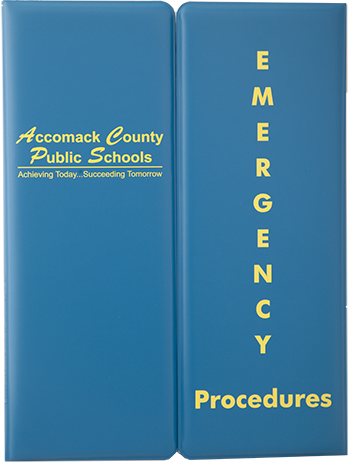 Administration Guide The Emergency Guides turned out perfect! 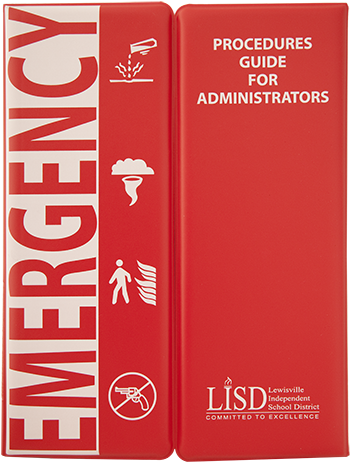 Administration Guide The guides have been extremely beneficial.